No, it isn’t football or hockey, or boxing for that matter, but toughness matters in baseball. The toughness to get through injuries. The toughness to play in this market. The toughness to go the extra mile when you’re dog-tired. The toughness to perservere and make sure that slumps don’t prolong themselves. Some of that toughness left the Red Sox when Jonathan Papelbon signed a lucrative four-year deal with the Philllies. The good news is that they got some of it back when Ben Cherington signed Mark Melancon and Andrew Bailey. The tradeoff of utility guys - Nick Punto for Jed Lowrie - was a 180 for the Red Sox. Punto is as tough as nails and should fit well on this team. One of his best friends is Kevin Youkilis, who shut it down last season after a sports hernia, sore hip, and back issues got the best of him. Youkilis is as tough as they come, and his presence in the lineup should ramp up the team’s toughness meter quite a bit. We know about Dustin Pedroia’s toughness and willingness to play through anything. Adrian Gonzalez has a quiet toughness about him. You think his shoulder wasn’t hurting the second half of the season when his production was way down? Of course it was, yet he hung in and played through it, never asking to come out of the lineup. Marco Scutaro might be the toughest guy on the team. This guy will play through anything. Know why? Because he has never taken his career for granted. He spent many years as a utility player, and he never wants to give up the chance to be a starter in the majors. As long as he has that, Scutaro will tough it out. 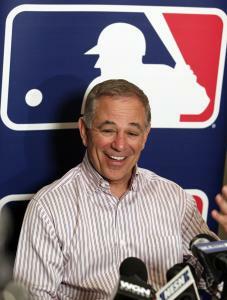 “I’m going to go through a process of getting to know each and every player in spring training and during the season,’’ said new manager Bobby Valentine. “Do I like tough players? Of course. I think any manager would like tough players. Part of that toughness, that dirt-dog mentality, is giving 100 percent effort. That means running out ground balls. We know some big guys feel they’re so slow that they wouldn’t beat out a grounder even if an infielder bobbled the ball, so they tend to not bust it down the line. Valentine understands this, and he wants players to be able to give 100 percent in the ninth inning of a game. But consequences for not running balls out? You bet. Valentine has a history of fining players for dogging it. He’ll make those rules very clear to his players in spring training. “Most guys who have been through the big leagues have gone through some things and things they have had to overcome that makes them tough,’’ Valentine said. “There are some players who perhaps haven’t been hardened, who haven’t been on the mat. And that might be because maybe they’ve always been the No. 1 guy since they were in high school and things have come easy for them. Sometimes you have to experience those low moments to develop that. For the most part, Valentine feels, players want to put out maximum effort. They don’t want to be scolded or shunned by teammates for not giving maximum effort. Is there anything worse than a player jogging to first on a routine grounder, and the infielder bobbles the ball but still throws out the lazy runner? Or a batter hitting a popup but still getting thrown out when the infielder drops it because he didn’t run it out? Maybe you don’t see these things very often, but you see them often enough. You really come to appreciate players like Pedroia, Alex Rodriguez, and Derek Jeter who run out every ball as hard as they can. They play the game right. Pedroia doesn’t have blazing speed, but he can make the infielder rush the throw and at times beat out balls that other guys wouldn’t because they don’t run hard. Obviously, if a guy has a tender hamstring, and he’s out there playing, you don’t want him to reinjure himself. But playing the game at maximum effort represents a certain kind of toughness the Red Sox need again. That brings us to spring training. The Red Sox didn’t exactly train hard last spring. Part of it was that some veterans were returning from injuries, so the staff went easy on them. Valentine wasn’t specific but he said he’s always run spring training the same way. Valentine is expected to have a meeting with Tim Bogar, his bench coach, who will run spring training, to make sure they’re on the same page. Bogar is likely to have a lot of ideas after the Terry Francona regime, but we’ll see if that meshes with Valentine. Are the Sox tough enough? They have a first baseman who wants to play every game. They have a second baseman who never gives up on anything. The shortstop plays in pain. The third baseman is as intense as anyone in the game. The catcher (Jarrod Saltalamacchia) can take a beating. The left fielder plays hard. The center fielder shed his image of not being tough with a tremendous breakout season. Right field, we don’t know, but the future player, Ryan Kalish, might almost be too tough and the former one (J.D. Drew) wasn’t tough enough. The pitching staff needs to reestablish its toughness after the shenanigans of last season. We know the manager is tough. The September collapse shed a new light on the Sox. They need to come out and play as if everyone is fighting for a spot on the 25-man roster. They need to show the effort and the hunger of the Tampa Bay Rays. We need to see that grit that Valentine has talked about. They have the players with that grit. The 2012 season is a good time to show it. Collectively.